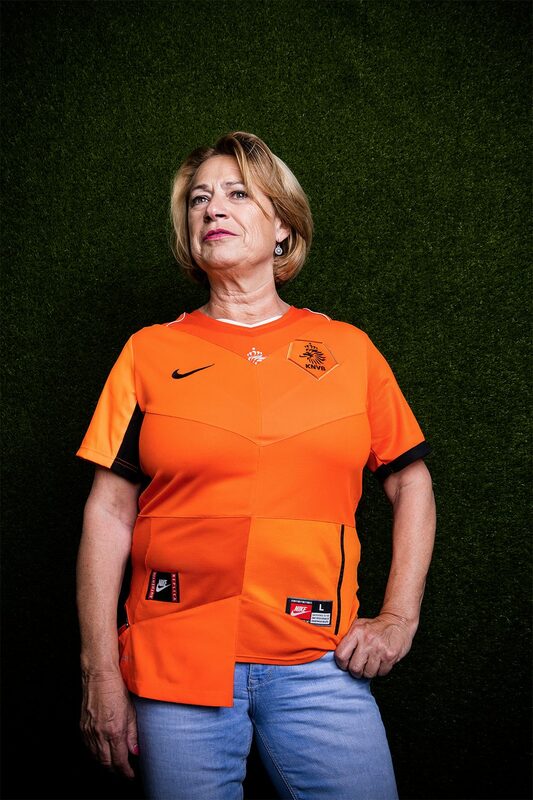 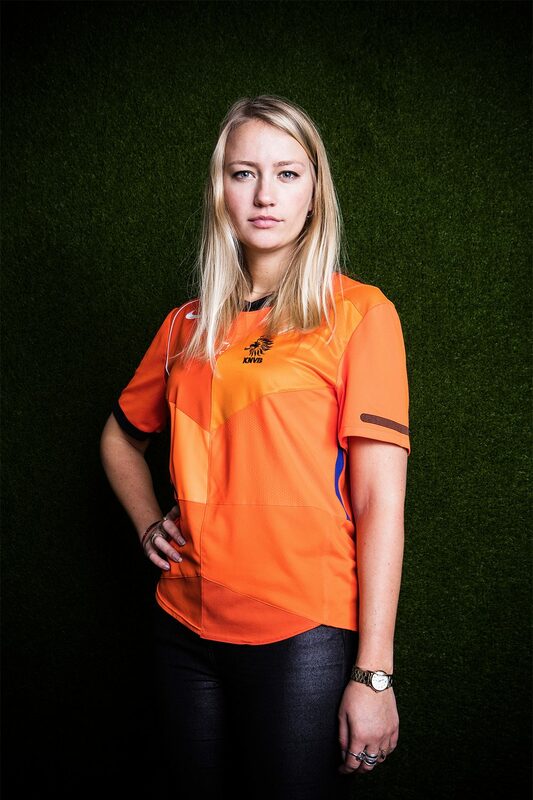 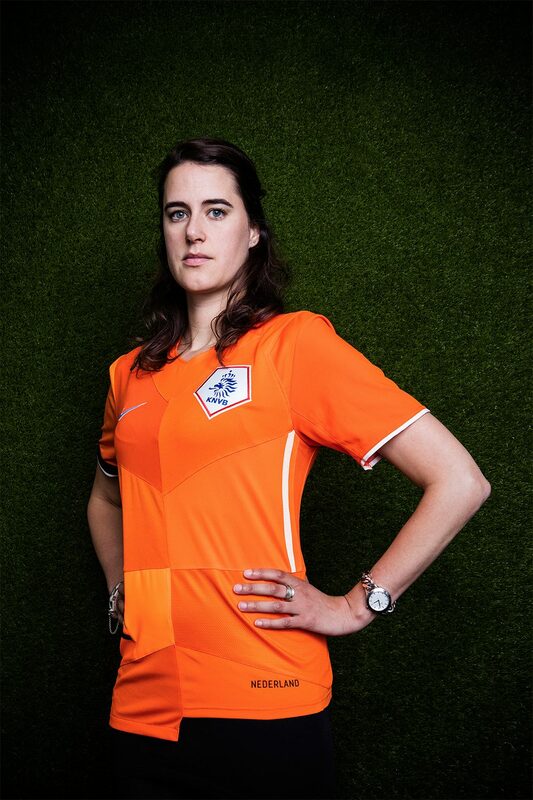 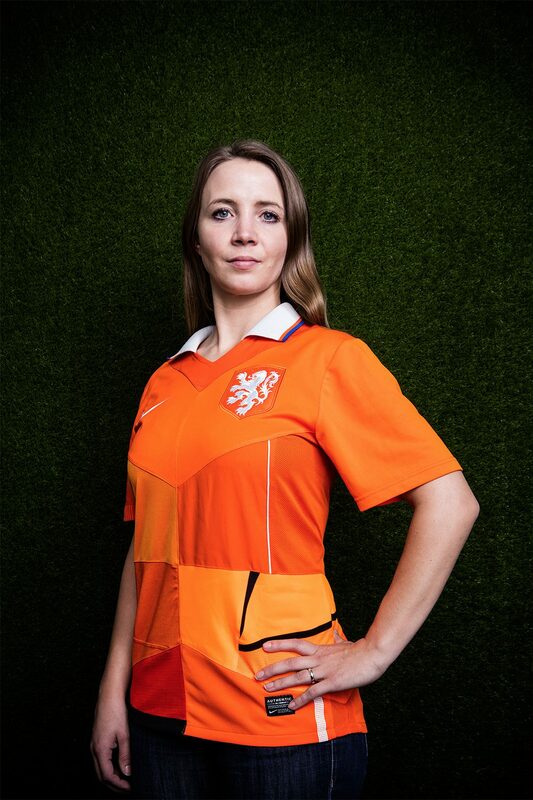 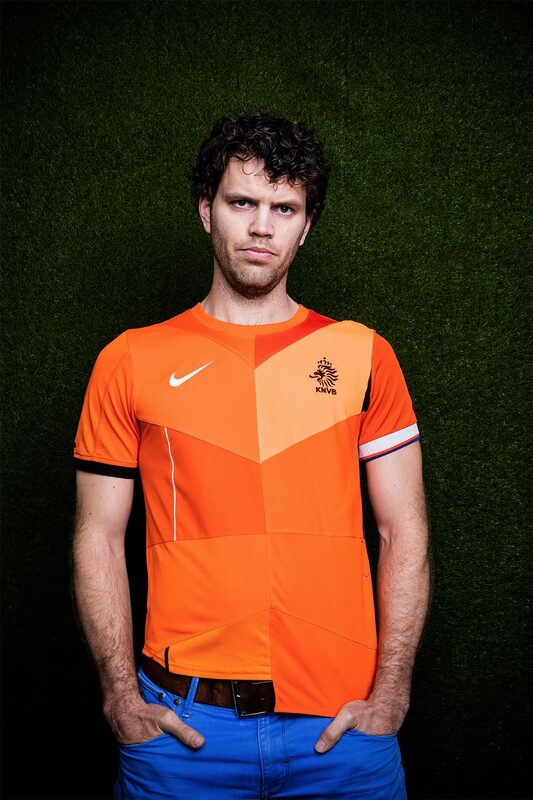 The KNVB asked us to make two shirts to give away to their main partners. 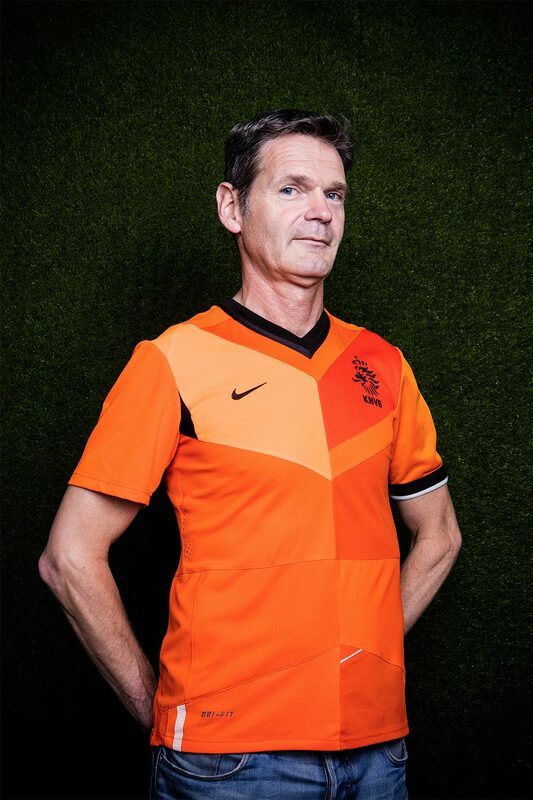 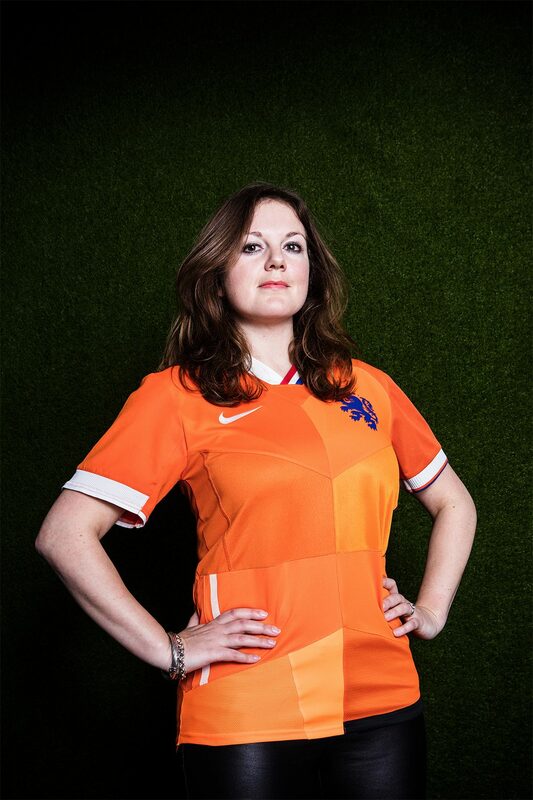 The idea was to make two orange shirts using all home shirts since 1997 which are 11 home shirts. 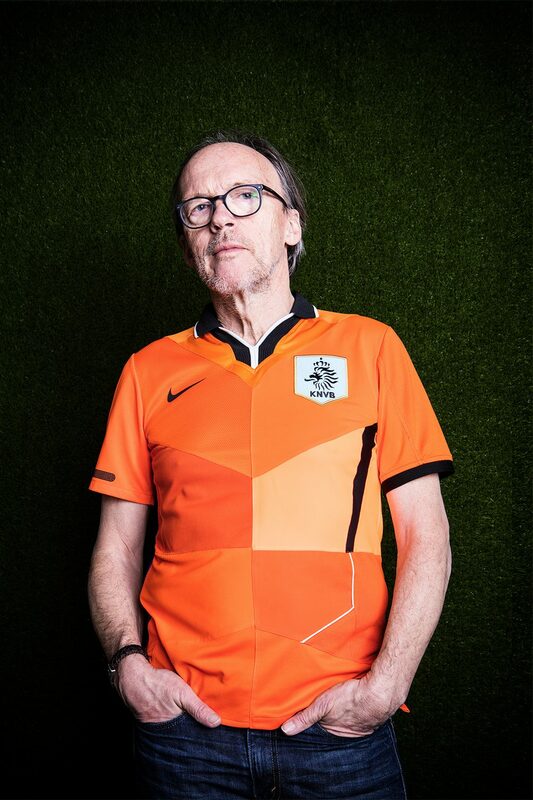 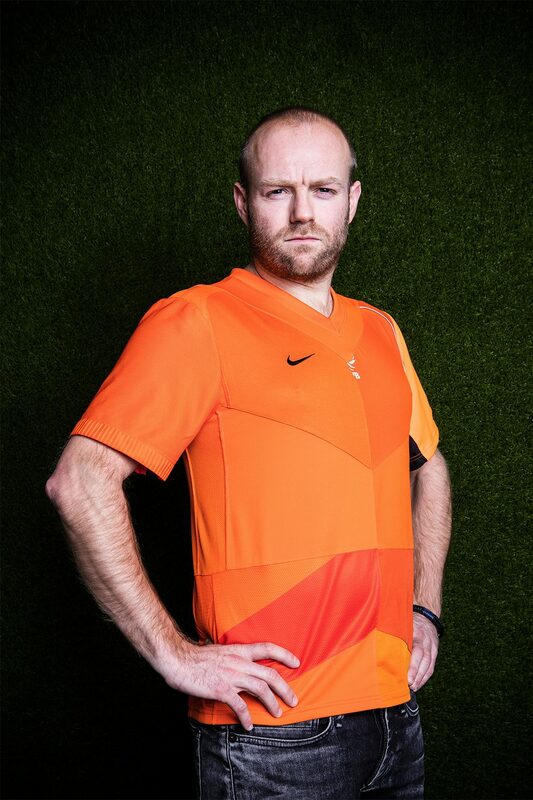 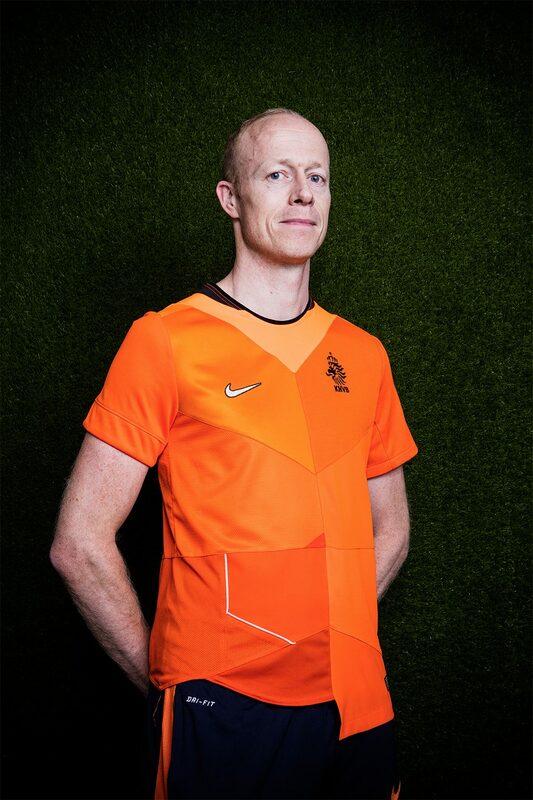 With the right designed cutting pattern we were able to create 11 out of 11 and decided to portray the men and women that are working for the brand Oranje behind the scenes. 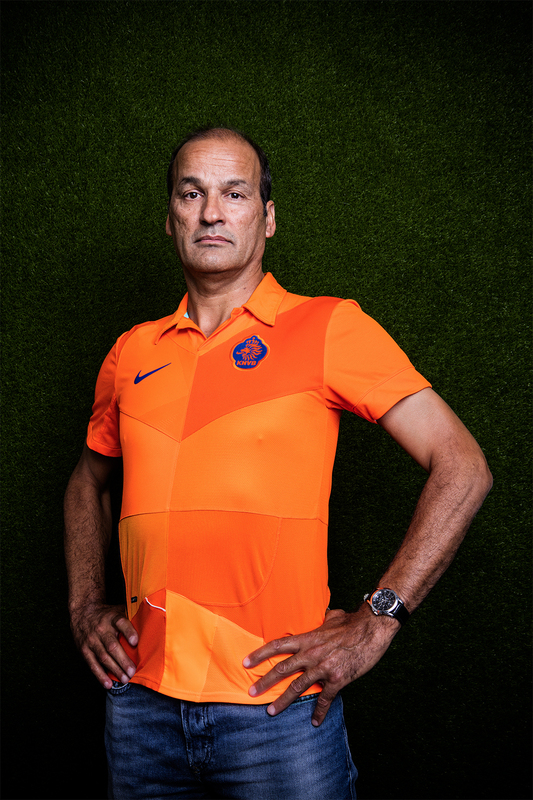 The most famous face would be Rob Kocken, the main kitman of the first team.